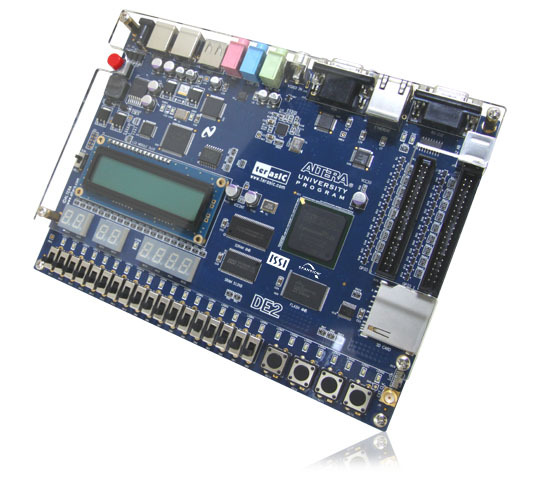 The purpose of the Altera DE2 Development and Education board is to provide the ideal vehicle for advanced design prototyping in the multimedia, storage, and networking. It uses the state-of-the-art technology in both hardware and CAD tools to expose designers to a wide range of topics. The board offers a rich set of features that make it suitable for use in a laboratory environment for university and college courses, for a variety of design projects, as well as for the development of sophisticated digital systems. Altera provides a suite of supporting materials for the DE2 board, including tutorials, "ready-to-teach" laboratory exercises, and illustrative demonstrations.